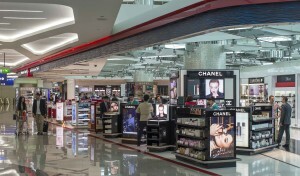 Dubai Duty Free opened for business on 20th December 1983. Over the past three decades the operation has grown to be one of the top airport retailers in the world with sales turnover of Dhs5.9 billion (US$1.6 billion) in 2012. Covering some 28,500 square metres of retail space at Dubai International Airport and Al Maktoum International Airport, Dubai Duty Free is poised to expand further with the opening of Concourse D within the next two years. 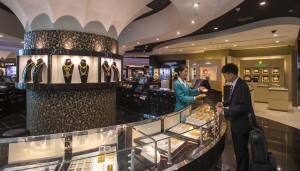 Employing 6,000 people, the operation has consistently raised the benchmark for airport retailing in the Middle East. Its founding principal of providing travellers with a first class retail experience in a shopper- friendly environment and a diverse range of products still holds true to this day. To date, Dubai Duty Free has received some 300 awards which bear testimony to the operation’s retail success including being named the Frontier “Best Airport Retailer of the Year” for an unprecedented sixth time, the ‘Best Airport in Duty Free Shopping’ presented at the Business Traveller Middle East Awards, the Global Traveller US magazine Award for ‘Best Duty Free Shop’ and the ‘Superbrands Awards for Excellence in Branding’ received from Superbrands Council. While the successful running of the shopfloor is a major focus for Dubai Duty Free, the operation is highly committed to promoting Dubai through a series of high level sporting events such as the Dubai Duty Free Tennis Championships. Other sports benefiting from Dubai Duty Free’s sponsorship and support includes the National Showjumping Championships, the Dubai Rugby Sevens, the UIM XCAT World Powerboat Championships, the Dubai International Basketball Championships, and the for the first time, the Dubai Duty Free Darts Masters. Meanwhile, Dubai Duty Free’s Leisure Division, which operates the popular Irish Village and the Century Village, opened its first hotel – the Jumeirah Creekside last year and is being managed by Dubai-based Jumeirah Group. Dubai Duty Free also inaugurated its first border shop located next to the Customs and Immigration offices at the Hatta-Oman border in July 2012. 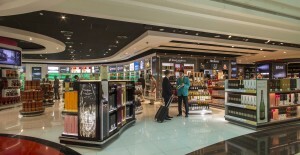 Dubai Duty Free will celebrate its 30th Anniversary on 20th December which is sure to signal another sales milestone for the airport retailer with an expected turnover of US$1.8 billion this year. Dubai Duty Free also runs innovative and successful promotions: the world famous Finest Surprise Luxury Car draw, which began as a one-off in December 1989 and continues to capture the public’s imagination. With 1,000 tickets offered at Dhs500 (US$139), passengers have the chance to win a car or more recently, a Harley Davidson motorbike with tickets cost just Dhs100 (US$28). The success of the Finest Surprise led to the launch in 1999 of the Millennium Millionaire promotion to win US$1 million, which has captured the imagination of travellers around the globe. Tickets are priced at Dhs. 1,000 (US$278) each and limited to 5,000 ticket holders. Tickets for the promotions can be purchased at Dubai Duty Free in Dubai International Airport or online at www.dubaidutyfree.com.